Neste Engineering Solutions has reached an important milestone with PMC (Project Management Consultant) project for SOCAR, the State Oil Company of the Azerbaijan Republic, in constructing a greenfield ammonia-urea fertilizer plant in Sumgayit, Azerbaijan. 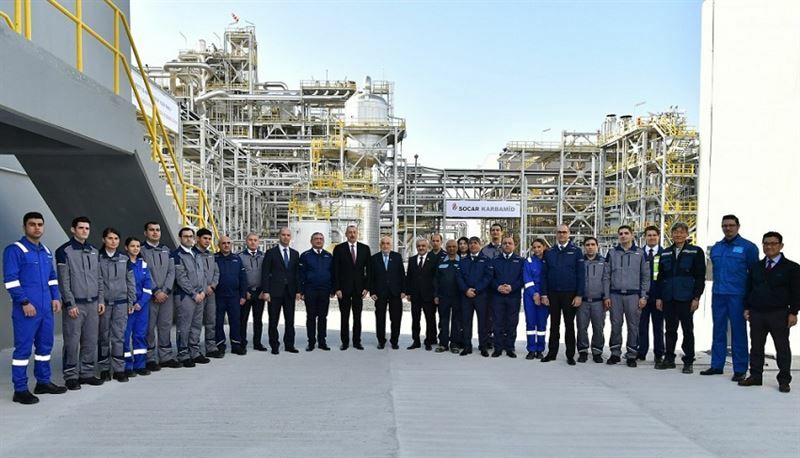 The inauguration of the SOCAR carbamide complex took place on 16th of January 2019 and was held by the President of the Republic of Azerbaijan, Mr. Ilham Aliyev. The start-up of the production plant is now done and production is in operation. There were 2,500 to 2,700 people working on a daily basis at the project site covering over 25 hectares, the size of 60+ soccer fields. The plant itself consists of total 11,000 tons of steel structures. The new ammonia-urea complex is now in operation and it is estimated to produce 1,200 tons of ammonia and 2,000 tons of urea per day when completed.